Five months ago, the Red Wing Republican Eagle went from publishing five days a week, to two days a week. "It is a blow to the community when you lose a daily newspaper," said Steve Messick, publisher at the Republican Eagle. The paper belongs to Forum Communications, a company that owns the most dailies around Minnesota. The Superior Telegram, the Stillwater Gazette and the International Falls Journal also stopped publishing daily last year. Nationwide, more than 100 newspapers have done so, too. Other Minnesota papers have merged and a handful have closed down altogether in recent years. 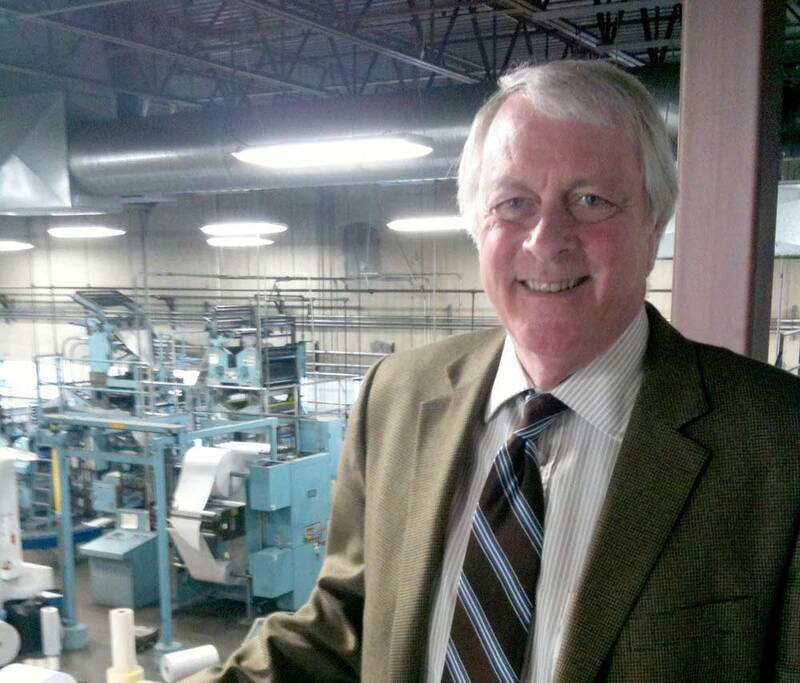 Messick said despite the cuts, the Internet is helping newspapers in rural Minnesota flourish. He says his paper eliminated three printing days because of a slump in advertising revenue as well as a rise in the cost of paper. The newspaper also dropped its subscription to the Associated Press and no longer covers state, national or international news. It's completely focused on one thing: Red Wing. "Even when we were a daily, there's no way we could do the same job as the Strib or the Pioneer Press in covering national news," Messick said. "They have more people. They do a better job at it. So, it's best to be extremely good at what you do versus being just so-so with everything, and I think that's been part of our advantage." Messick said dropping the wire service saved the paper between nearly $40,000 a year. He wouldn't comment on how much the company's saved in printing costs, but said there have been no job cuts to the 14-person staff since the fall, and he doesn't anticipate any in the near future. Despite these changes, however, he doesn't see a day when the paper will be completely digital. The paper, with a 5,200 circulation, lost about 200 subscribers but gained about 300 newsstand buyers, Messick said. His biggest concern was how readers would react to the change. "They were very understanding. All businesses are going through tough times," he said. "It's a scary deal. Here it's been a daily for 56 years and so it's quite a change." Still, not everyone in town has embraced the new newspaper. Pam Nelson has lived in Red Wing for 7 years and says it's difficult to keep up with the news now. "You don't find anything out soon enough to even go to a funeral," she said. Nelson, 57, used to subscribe to the paper. Now, she rarely visits the paper's Web site because she doesn't have access to the Internet all the time. "I'm just disappointed," she said. "For over a hundred and some years, that paper was a daily paper. And then they didn't give a good enough excuse as to why they just went from Wednesday to weekend. They didn't even say it was for financial reasons, but we all know things are moving in that direction because of the Internet and things." Other small-town papers have adopted more controversial strategies to shake up their businesses. In northern Minnesota, the Hibbing Daily Tribune, the Mesabi Daily News and the Grand Rapids Herald Review started to charge for their Web content last year. Wanda Moeller, the general manager and editor of the newspaper in Hibbing, said people who want to get news online should think of it like any other product they go to a store to buy. "Newspapers made a horrible decision, I believe, when they first started this, by not establishing pay walls," she said. Moeller said nearly 1,600 people have signed up for the Daily Tribune's online subscriptions since September. "When they ask me, 'Was it worth going to a paywall?' Absolutely. 'Would I do it again in a heartbeat?' Absolutely," she said. "You have to do something. You cannot continue to give your news away for free. I want to keep people employed and it is like everybody says, it's all about jobs." Still, Moeller and others say getting readers in rural communities to embrace the news on the Web is a huge challenge. Moeller said many rural areas don't have Internet access yet. That's part of the reason why some of these small-town publishers say that despite the changes, their papers won't disappear any time soon.